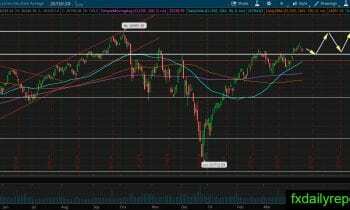 U.S stock futures pointed upward before the market open indicating higher opening after previous day slump. Earlier in the Asian session, IMF slashes 2019 growth forecast for the second time. This year, IMF expects the global economy will grow 3.3% compared to 3.5% in the previous forecast. Trade tension, political instability, mounting debt, and rising inequality are the factor which put the growth down. ECB expected to hold interest-rate steady today and possibly announce monetary policy measure on slowing growth problem. Aside from ECB, the market also will observe the release of the Fed minutes of the meeting. The only surprise is when the minutes of meeting turn hawkish. UK might get its Brexit extension today from the EU but with conditions attached. Asian stock market mixed. Japan stock market down 115.02 points (-0.53%) to 21,687.57, China Shanghai Composite up 2.27 points (+0.07%) to 3,241.93, and Australia ASX 200 up 1.70 points (+0.03%) to 6,223.50. European stock market mostly higher. DAX Germany up 0.44%, UK FTSE up 0.11%, Euro STOXX600 up 0.27%. The bearish pressure continue in DJIA and the index move down toward 26,000 support. No touch on the support level yet but a bounce might happen. Today index futures pointed upward before ECB rate-decision and FOMC minutes of the meeting. Expect some movement when both news released. We could see a triangle consolidation on CAT daily chart with a top around $142.50. No breakout above the triangle pattern yet and it seems CAT currently consolidating lower. There are SMA 50, 200 and the bottom of the triangle as support levels. Traders could expect bullish bounce when the support levels tested. 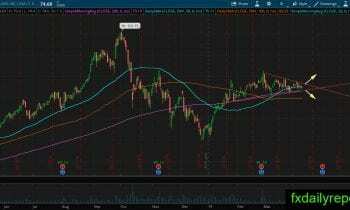 SQ share prices moving in a triangle pattern and above daily SMA 200. 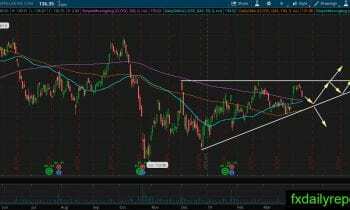 Traders and investors are waiting for a breakout of the triangle range. Will it break higher or lower? The situation favor upside breakout as the share prices stay above SMA 200. However, the expected breakout might happen in the upcoming earnings release which leaves trader with high uncertainties.